Anyone have any suggestions about mods done at the factory for a Voyager XL? I saw a couple listed on the Moog site for the Voyager, but not anything for the XL. I've read on here about the slew mod that sounds very cool. I don't know if that's a factory mod or not. The XL is going in for repair anyways so it would be nice to do a little something since it will be there. Also I noticed one of the Voyager mods was retuning which got me wondering about how well Voyagers / XL keep their tuning and if that is something you can do yourself. Interesting, well it does sound like it's a factory mod at least. It's too bad there isn't a more comprehensive list of what all can be done for each model. It would be really cool to see what all the options are and what kind of mods have been done by the pros. 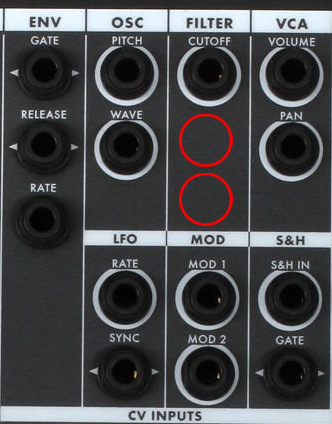 Oooh, that would be a nice addition to have spacing and resonance patchable. I can imagine some really cool sounds using those. It is a good point about the real-estate on the front panel, it would be a shame to lose that aesthetic. I could see using the back panel, but you'd lose a lot in the usability department. Then with patch cable extenders coming up to the front it might get pretty janky. I have always wished Spacing was a CV input jack. yes I agree 100% ! !